The latest episode of The Crystal Habit Podcast is out now! Have a listen below as we chat with Karl Stewart and Brian Horton on the details of the newly released cover art. Also, info on the special editions and pre-orders incentives for the game. Enjoy. 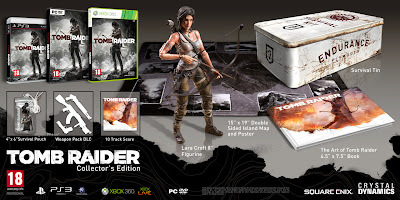 Tomb Raider Collector's Edition Revealed and More! Check out this beauty! I cannot wait to have this treasure! 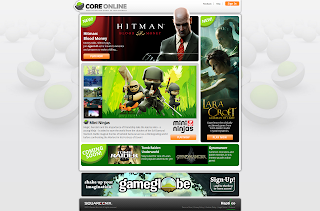 Read on to find out what's included in this and the European editions. Endurance Survival Kit Packaging: A survival tin salvaged from the ill-fated Endurance. 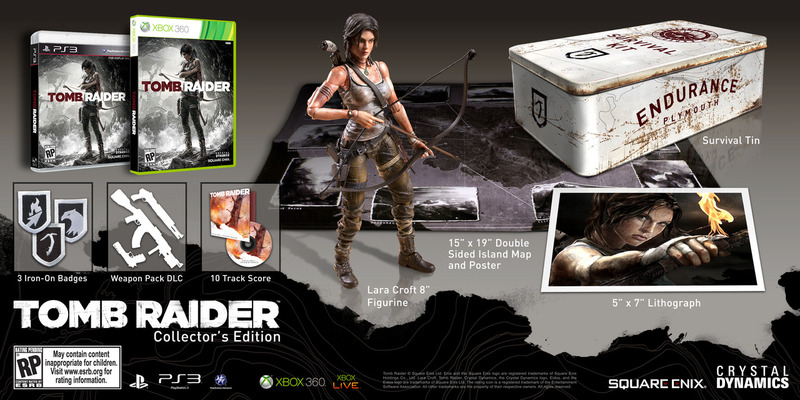 The tin houses a copy of the game and the Lara Croft Play Arts Kai figure. Play Arts Kai Lara Croft Figurine: Fully posable figurine with over 40 points of articulation. 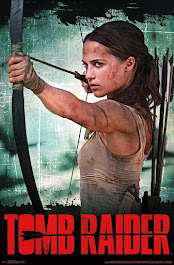 The dirt on her body and clothes has been realistically recreated to tell the tale of Lara’s fierce fight for survival on a desolate island. Comes with alternate set of three (3) hands, bow and arrow, shotgun, handgun, and climbing axe. Figure Size: Approx 8.0” Tall. 15” x 19” Double Sided Island Map and Poster: Discover key landmarks from the mysterious island of Yamati, where Lara Croft and her fellow castaways were marooned after the Endurance shipwreck. 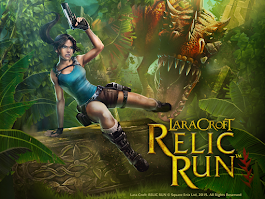 On the reverse is a poster size image of the box art that epitomizes Lara’s origin story. Lithographic Print: 5” x 7” heavy stock lithograph print with matte frame, designed by Crystal Dynamic’s Senior Art Director, Brian Horton. Painting by Brenoch Adams. Experience Shields: Three Iron-on badges of the game’s key icons: Animal Instincts, Climbing Axe, Fire Arrow. 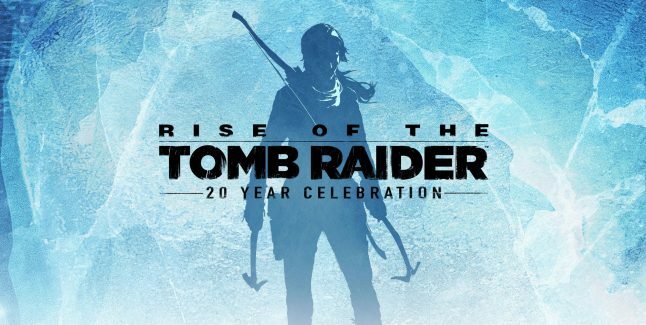 CD Soundtrack: Tomb Raider Original Soundtrack ‘Survivalist cut’: A collection of 10 tracks totaling over 60 minutes of music from the game. 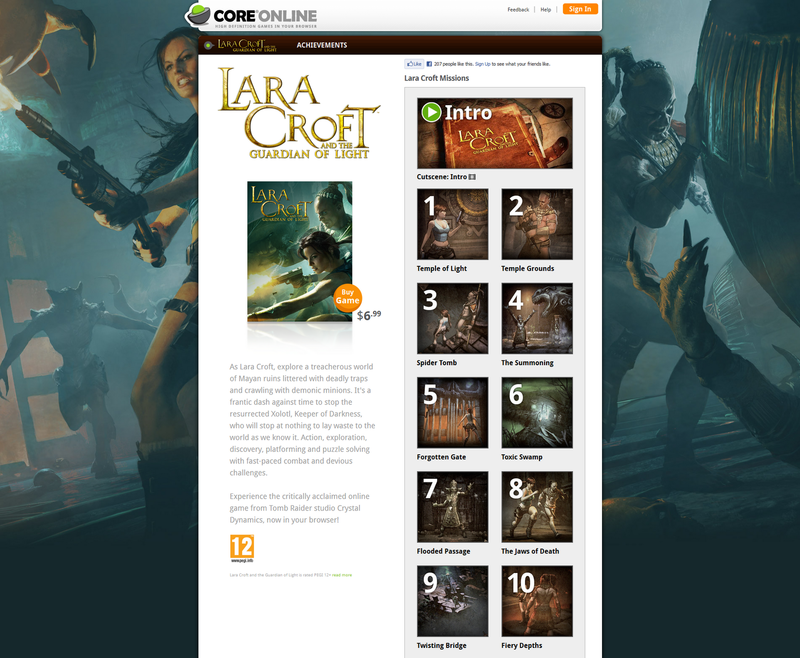 Downloadable Content: Weapons Pack - A selection of weapons to help Lara survive against the island’s inhabitants. 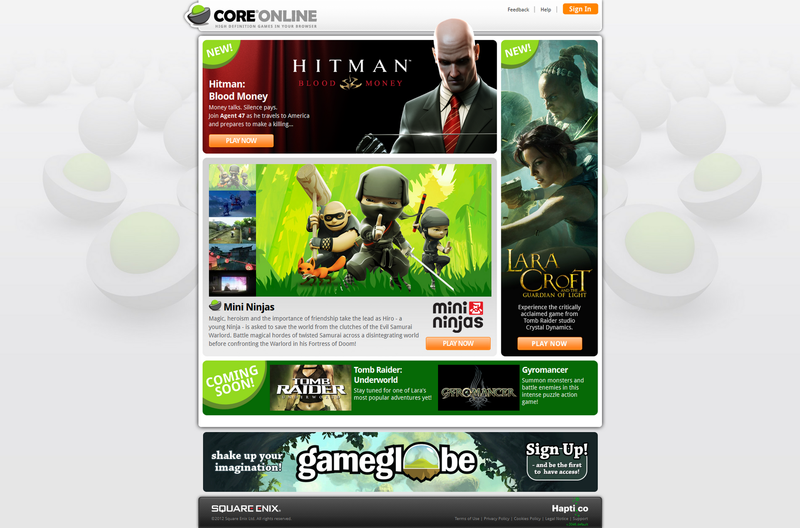 The Collector’s Edition will be available in North America for the Xbox 360 and PlayStation 3 for $99.99. 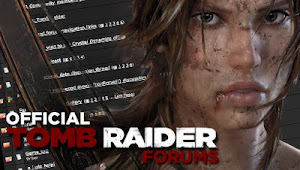 Tomb Raider will also be available in North America for the PC via Digital Download, with Collector’s Edition details pending. Art Book: A 32-page mini art book compiled by Tomb Raider Art Director Brian Horton, depicting Lara’s epic adventure through original concept art. Waterproof Survival Pouch: A waterproof re-sealable adventure pouch for storing key items you’ll need to protect when fighting off scavengers on the island. 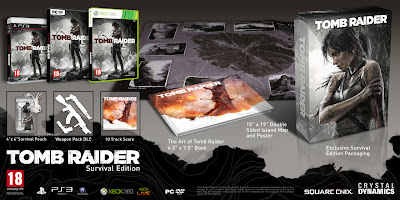 The Survival and Collector’s Editions will be available in Europe for the Xbox 360, PlayStation 3, and PC. 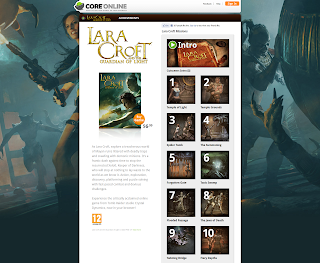 Also, it seems Steam has announced a Digital Survival Edition including downloadable content: Lara Croft and the Guardian of light, Challenge Tomb and Endurance DLC, soundtrack, art book and a map. 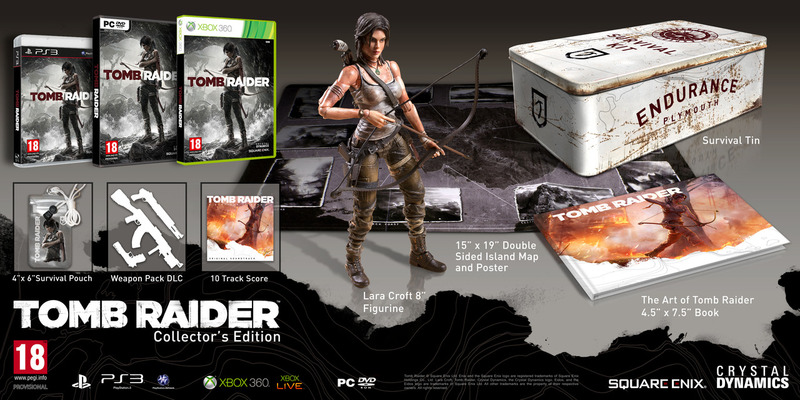 As always, visit the Official Tomb Raider Pre-Order Hub for more info. 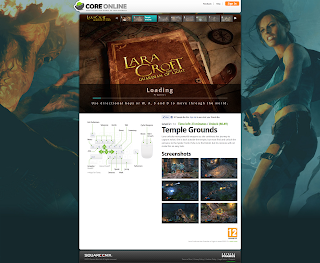 Lara Croft and the Guardian of Light in your browser!